The 14-year-old died overnight at Temple Street hospital in Dublin. A TEENAGE BOY rushed to hospital after getting into difficulty swimming on the River Shannon last evening has died in hospital. 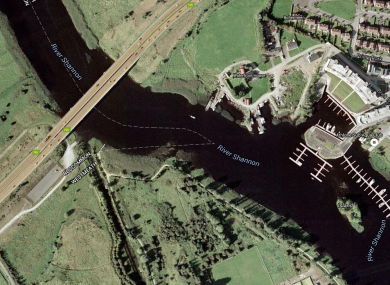 The incident took place close to a bridge in Athlone, Co Westmeath. A local diving team, assisted by the RNLI, were alerted – and were quickly on the scene to rescue the boy, believed to be 14, from the water. He was placed in an ambulance and rushed to Portiuncula Hospital, before later being transferred to Temple Street Children’s Hospital. Gardaí confirmed he died overnight at the Dublin hospital. Athlone Sub Aqua – the dive team that responded to the incident – were training nearby on the Shannon when the alarm was raised. Email “Teenage boy dies after River Shannon swimming incident”. Feedback on “Teenage boy dies after River Shannon swimming incident”.